Sure, he was Born in the USA – but The Boss has roots that extend all the way back to Ireland. 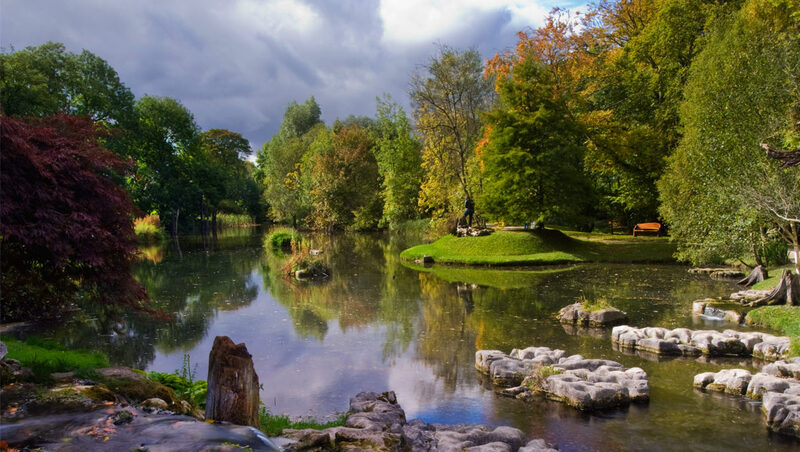 Before the Springsteens, Ireland had the Gerritys. Christy Gerrity was something of a hell-raiser as a young man – and he was the great-great-great-grandfather of none other than The Boss himself. Arrested and imprisoned in 1823 under the Insurrection Act – which targeted those protesting the social injustice of excessive tithes, rent payments and related evictions – Christy finally settled down in 1827. After marrying Catherine Kelly, the pair went on to have no fewer than eight children. In the Kildare townland of Mountprospect, the 10 Gerritys lived in a simple mud cabin with a thatched roof. Life in those days revolved around an open-hearth fire, where all the cooking was done. 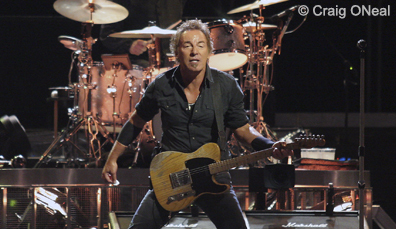 Without a doubt, Springsteen's ancestors came from humble beginnings. It’s 1847, a year that was described as Black 47: one of the worst years of the Great Famine in Ireland, when fever, famine and poverty took their toll across the island. Christy Gerrity was working as a carrier, earning a living by transporting people, goods and livestock. Gerrity strongly believed in education as the key to self-determination and personal liberty for his sons. Throughout the years of the famine, he sent them to study at Rathangan National School; but eventually, like millions of others, Christy’s family became famine refugees. Like our family tree? Download it here! Roll on to 1850, and Christy and his three sons – James, John and Michael – had arrived in the US, via Canada, settling down in Freeport, Monmouth, New Jersey. It was to take another three years before Christy saw his family reunited, when his three daughters – Ann (14), Catherine (12) and Eliza (10) – finally stepped off the Arctic SS in New York Port in 1853. With the family finally together again, Christy became a naturalised American citizen in 1856. Unable to write, his name was recorded by the clerk with a simple 'X'. After living apart for so long, the Gerritys lived near to each other for the rest of their lives. And it was Ann Gerrity who married a man named Patrick Farrell – and went on to have a family that grew to include a great-great-grandson: Bruce Springsteen. The rest, as they say, is history! Rathangan National School educated the Gerritys until 1847. The Gerrity family lived in a thatched house made of clay mixed with straw or rushes. The annual tax on the Gerritys’ house was 10 shillings. Five generations after his story began, the rest of the world has been able to enjoy the wonderful tunes of Bruce Springsteen... all thanks to the determination of a Kildare man called Christy Gerrity. Research provided by the expert genealogists at the Irish Family History Centre. 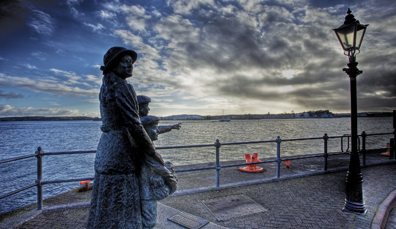 The Irish Family History Centre also offers a visitor centre experience as part of EPIC Ireland in Dublin. Just starting out on your Irish genealogy adventure? There are lots of useful resources that can help. With regular Q&A sessions with genealogy experts, this is a buzzing community where you can share your experiences. 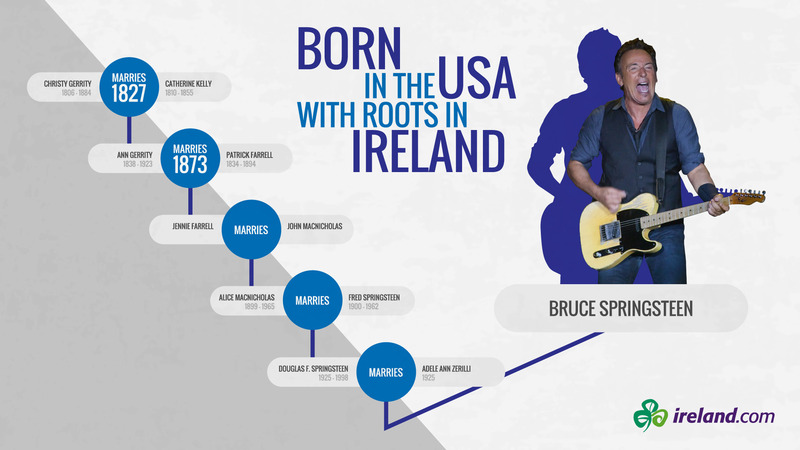 Find out more details about Bruce Springsteen’s Irish Roots from the people at the Irish Family History Centre.